Marijuana has been the center of controversy when a mass campaign was run to legalize it for medicinal purposes. The opponents were of the view that it is massively abused while the proponents advocated for its painkilling effects that have enabled many to live a normal life despite the crippling ailments they have. 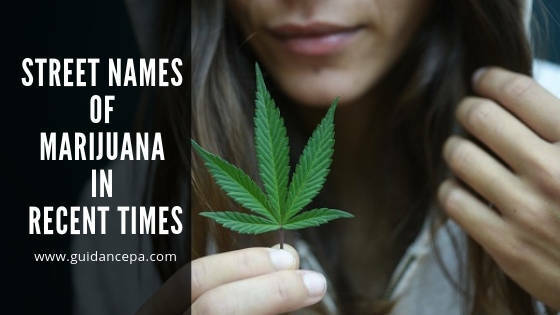 This article will be focusing on the various street names of Marijuana or the nicknames of Marijuana that are used in recent times that we are not very well aware of. Marijuana, A Lethal Substance Or A Savior? We do know that it is the most widely used illegal drug in the United States. It contains the psychoactive substance called tetrahydrocannabinol or THC that makes Marijuana a substance-abuse material. THC is commonly dried and then smoked. On the other hand, we also know the medicinal properties of Marijuana. We know it is taken in many chronic ailments such as cancer, fibromyalgia, arthritis etc. In such diseases, patients can’t live a normal life because they suffer from constant continuous excruciating pain. What we also know is that banning a substance won’t eradicate it from the market, it will just strengthen the black market. The way to get Marijuana use and abuse in control is to regulate it. The introduction of Marijuana in the black market has resulted in most of the nicknames that we are aware of today. What Are The Various Nicknames Of Marijuana And Where Are They Originated From? Marijuana has been used for centuries by people from different ethnicities and various cultures. Through these years, some names have evolved for Marijuana. One can rightly say that Marijuana is the only drug with the highest count of names and slangs. It’s surprising how different people, in different areas call one substance so many different names. Weed: A noun that means a plant that is not valuable for beauty or has no significant uses. This term also applies to trees or plants that grow in large numbers. Grass: This term has been commonly used in the novels, but the origin and history of this word are unidentified. 420: Many myths are related to this slang of Marijuana. Some say it is because of the ‘420’ chemicals that exist in Marijuana, others say it is related to the birthday of Adolf Hitler which was on 20th April, which literally has nothing to do with Marijuana. A more in-depth look at the history of this slang revealed this origin that back in 1971 a group of people would smoke Marijuana at San Rafael High School each day at 4:20. Instead of using the word Marijuana, they would use the code word 420. Ganja: It is a Sanskrit word that is commonly used in India. Dope: This related to a thick preparation that is used in opium smoking. Herb: Considering that Marijuana is an herb, it is also called a herb generally. Joint: This word has various histories, the word first originating from French. Back then in 1821, the word joint meant a side room to the main room. This side room was mainly used for smoking Opium or Marijuana, which is why Marijuana is known as joint too. Mary Jane: When the word Marijuana is split in Spanish it becomes two names; Maria and Juana. The English version of these names is Mary Jane. The mystery behind these names is still not resolved, but this is the common perception of the word Mary Jane used for Marijuana. Chronic: Chronic primarily refers to high-quality weed. It means long-lasting. It was termed concerning chronic pain. 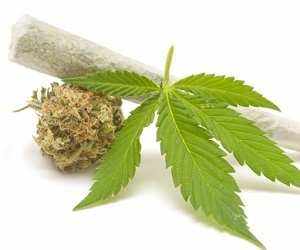 Cannabis: Marijuana is derived from the Cannabis plant which is why it is called Cannabis. Nuggets: A nugget or a nug is a slang term used for the chunk of the bud material of Marijuana. Marijuana is referred to as nugget because of the way the pieces of bud look when they have been removed from the plant and dried. Along with the names mentioned above there many other street names for Marijuana which include Blunt, Reefer, Buds, Stinkweed, Tobacco, Hay, Rope, Gangster, Skunk, Boom, Blaze, Ashes, Block, Boo, Broccoli, Burrito, Burnie, Charge etc. Some of the geographic street names of Marijuana include Panama gold, Black Russian, Acapulco Gold, Maui Wowie, Mexican, Indo, Texas tea, Thai Stick and Colombo. These names are derived from the places where Marijuana is grown. The list doesn’t include all the names because the slangs used for Marijuana are ever-changing. Matchbox: This amount refers to the amount that can be stored in an actual matchbox. Lid: It relates to an ounce or less of Marijuana. Nickel bag: A small amount of Marijuana. Dime bag: A larger amount of Marijuana as compared to Nickel bag. Brick: It is one kilogram of Marijuana that is packed in the form of compact blocks. Though there are so many names for Marijuana, before you buy it, you just need to know your purpose and your dose. Taking Marijuana can be unsafe for existing patients of various ailments and can lead to substance abuse if taken without any regulations.